I generally prefer to post about local issues but this caught my eye with the Supreme Court beginning their talks on gay marriage tomorrow. Frederick E. Allen from Forbes Magazine wrote an article about Starbucks CEO Howard Schultz taking a pretty hard stand in support of gay marriage at the company annual meeting. I will first post the article and give my brief thoughts on this afterwards. 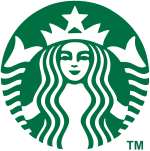 At Starbucks’ annual meeting in Seattle on Wednesday a shareholder complained to the chief executive, Howard Schultz, that the company had lost customers because of its support for gay marriage. Last year Starbucks announced its support for Washington’s state’s referendum backing gay marriage, and in response the National Organization for Marriage launched a boycott of the coffee chain. A Washington Post poll this week found that support for gay marriage among Americans has shot up to 58% in favor and 36% against, a complete turnaround in less than 10 years. Schultz’s stand isn’t nearly as daring as it would have been a few years back, but still, it’s impressive to see a CEO think about more than the bottom line and get cheered by his shareholders for it. Clearly Shultz fears very strongly about this issue and believes in what he is supporting based on his comments. With the looming Supreme Court decision expected this year I expect to hear more from businesses and non-political folks on the issue but I think that this is a huge mistake. My personal opinions are that businesses should focus on trying to increase revenues in whatever way possible. People who are opposed to gay marriage might continue to purchase products from their but the odds are that some won’t. As an example I recently posted on Facebook that my computer had crashed and a few people recommended that I purchase a service that backs up your data automatically such as www.carbonite.com. I ended up signing up with this service after much consideration due to numerous recommendations and high reviews on different websites from users. A liberal Facebook friend then lashed out about www.carbonite.com being a terrible choice because they advertise on the Rush Limbaugh radio show. It would not have mattered to me whether they advertised on Rush Limbaugh, Rachel Maddow, or Conan I was simply looking for a solid product. Clearly some people are influenced in a negative way by what certain companies do in the political realm. Starbucks has potentially painted itself into a corner by taking this position. In fairness my opinion does not reflect the specific position that Starbucks took as I have the same issue with Chic-Fil-A who took the opposite stand on the issue. Starbucks should focus on making/selling coffee and Chic-Fil-A should focus on making/selling chicken sandwiches as most people couldn’t care less where they stand on political/policy issues. It’s not like Congress was waiting to hear from Colonel Sanders before they voted on Obamacare. This entry was posted on March 25, 2013 at 7:45 AM	and is filed under National. Tagged: Gay Marriage, Howard Schultz, Starbucks, Starbucks and Gay Marriage. You can follow any responses to this entry through the RSS 2.0 feed. You can leave a response, or trackback from your own site. Though I absolutely love your product, I’m wondering why ANY CEO would make a public stand on any social issue such as this, period! I would have been perfectly content NOT knowing then pull my support. Not for your beliefs, (because we all have them), but making public stand as company. Because you made this choice, you’re going to lose a lot of loyal customers, not because they dislike your product, but because they dislike what you stand for. In my humble opinion, it appears like you’re using your success as a pulpit to promote your agenda which has little or NOTHING to do with whether Christians appear strong or weak but pushing a liberal mindset that many find repugnant.